A compelling call to apply Buckminster Fuller's creative problem-solving to present-day problems. A self-professed "comprehensive anticipatory design scientist," the inventor Buckminster Fuller (1895-1983) was undoubtedly a visionary. Fuller's creations often bordered on the realm of science fiction, ranging from the freestanding geodesic dome to the three-wheel Dymaxion car to a bathroom requiring neither plumbing nor sewage. Yet in spite of his brilliant mind and life-long devotion to serving mankind, Fuller's expansive ideas were often dismissed, and have faded from public memory since his death. You Belong to the Universe documents Fuller's six-decade quest to "make the world work for one hundred percent of humanity." Critic and experimental philosopher Jonathon Keats sets out to revive Fuller's unconventional practice of comprehensive anticipatory design, placing Fuller's philosophy in a modern context and dispelling much of the mythology surrounding Fuller's life. Keats argues that Fuller's life and ideas, namely doing "the most with the least," are now more relevant than ever as humanity struggles to meet the demands of an exploding world population with finite resources. 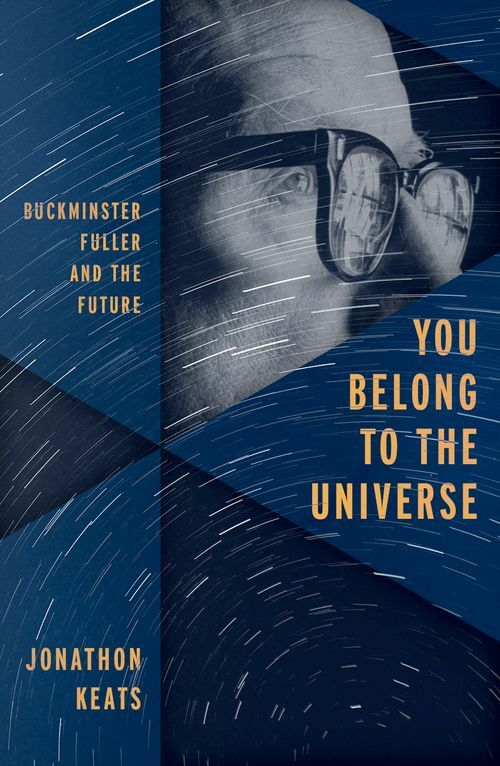 Delving deeply into Buckminster Fuller's colorful world, Keats applies Fuller's most important concepts to present-day issues, arguing that his ideas are now not only feasible, but necessary. From transportation to climate change, urban design to education, You Belong to the Universe demonstrates that Fuller's holistic problem-solving techniques may be the only means of addressing some of the world's most pressing issues. Keats's timely book challenges each of us to become comprehensive anticipatory design scientists, providing the necessary tools for continuing Fuller's legacy of improving the world. Jonathon Keats is a writer, artist and experimental philosopher. He is recently the author of the story collection The Book of the Unknown (Random House), winner of the American Library Association's 2010 Sophie Brody Medal, as well as Virtual Words: Language on the Edge of Science and Technology (2010) and Forged: Why Fakes are the Great Art of Our Age (2013), both published by OUP.